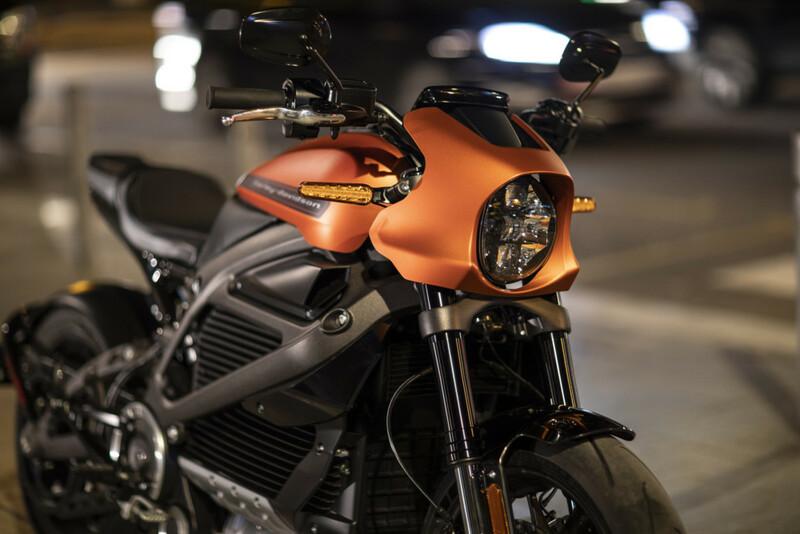 2019 Harley-Davidson LiveWire First Look—Originally debuted in 2014 as a prototype to test the waters and gauge the potential of an electric-powered Harley-Davidson motorcycle, the LiveWire was officially unveiled in Milwaukee during the company’s 115th Anniversary this past Labor Day. 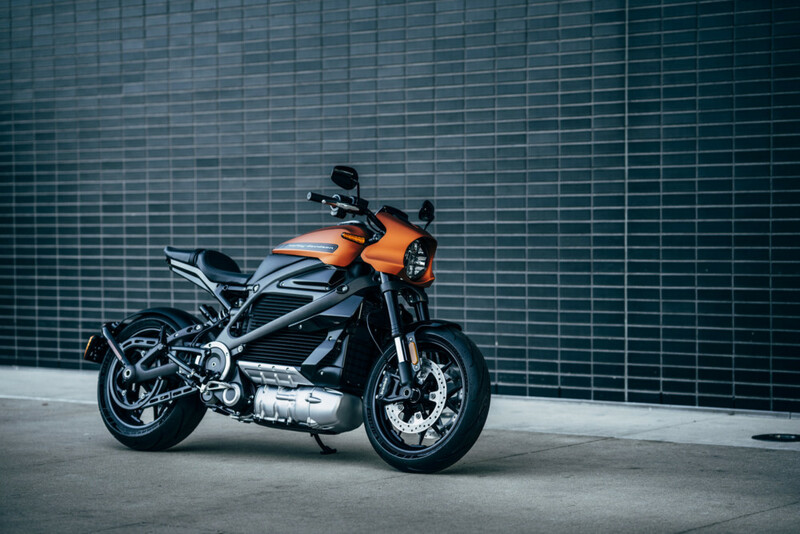 Today, H-D pulled the covers off yet again and announced details and specifications of its production-ready 2019 LiveWire. The most polarizing Harley-Davidson in recent memory is finally ready for production. 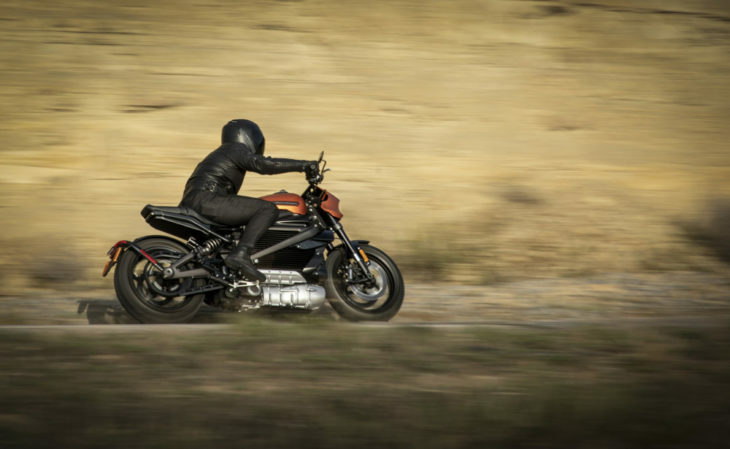 Anyone who’s ridden an electric motorcycle knows how much instantaneous torque and power you get from the moment you twist the throttle. 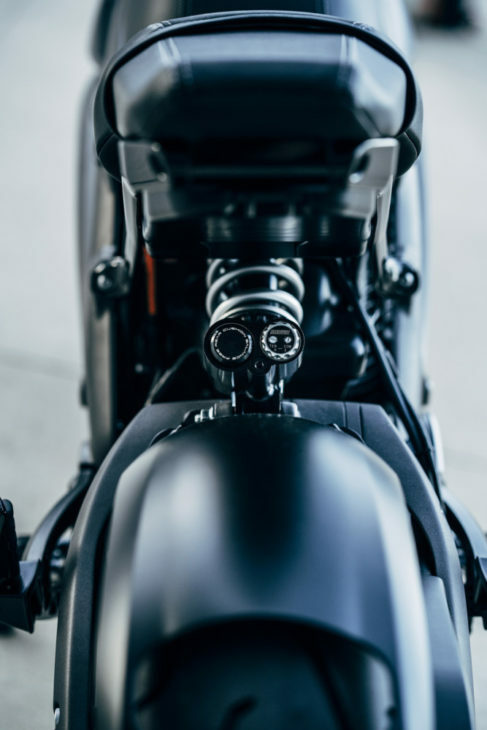 Not only that, there’s no gear shifting and zero chance of stalling, making the LiveWire a great platform for introducing new riders to motorcycling. 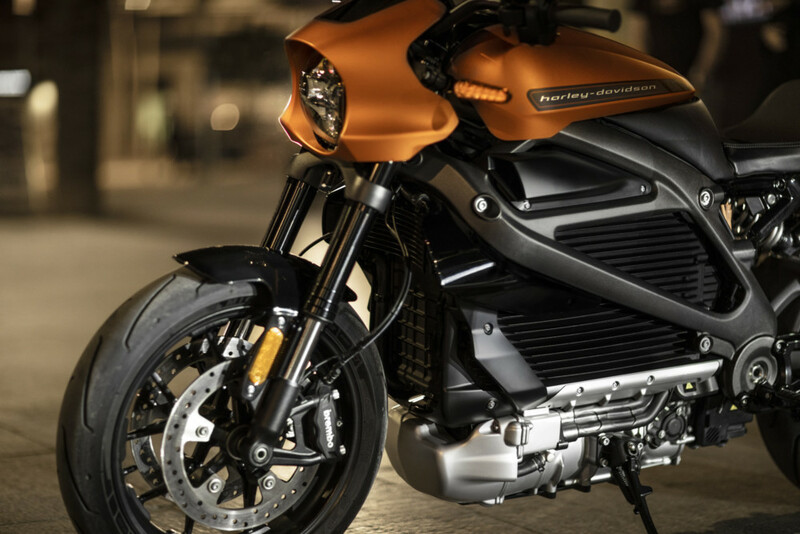 It’s all part of the Motor Co.’s “More Roads to Harley-Davidson” strategy to create two million new riders here in the U.S. and build the next generation of riders globally. 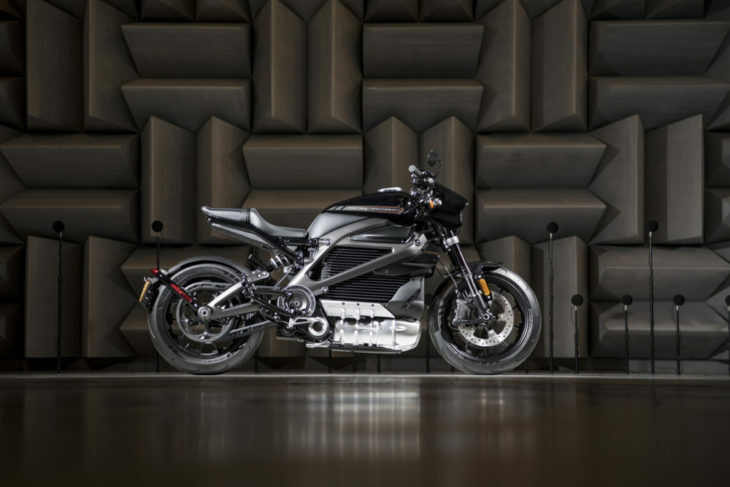 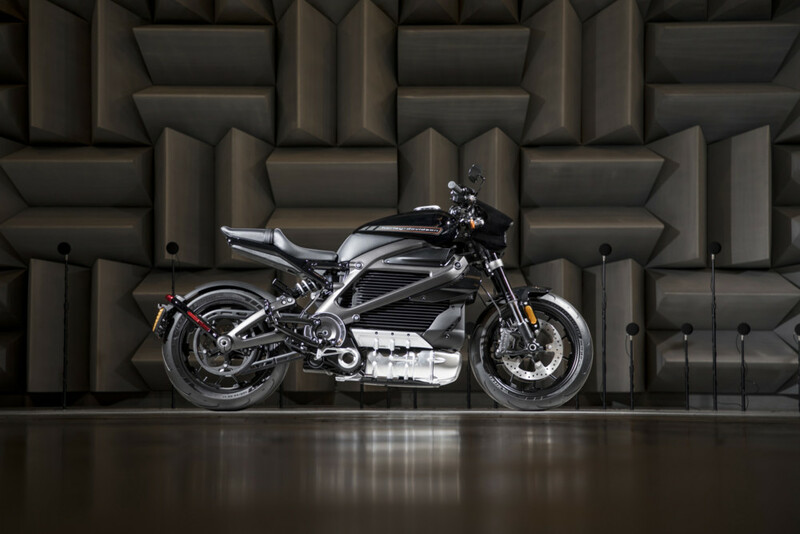 A permanent-magnet electric motor pulls double duty, and not only powers the LiveWire, but serves as a stressed member of its otherwise aluminum chassis. 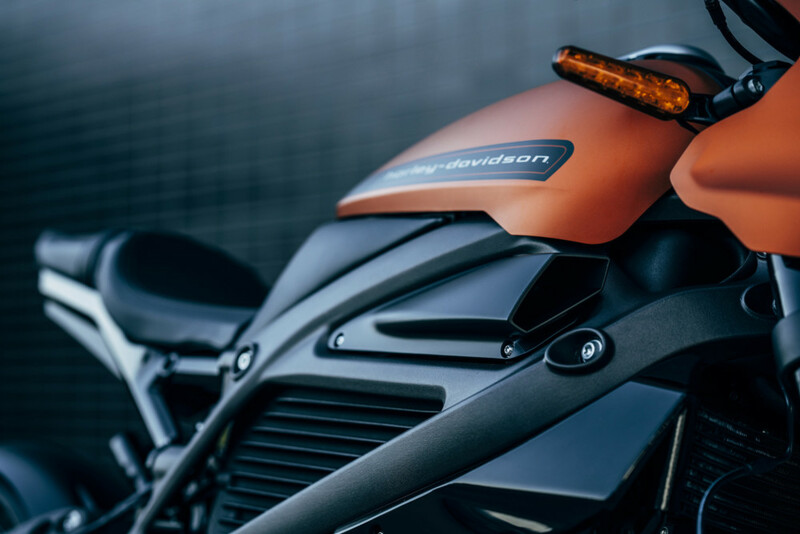 It’s been positioned to provide as low of a center of gravity as possible to deliver nimble, agile handling both on urban streets and twisty back roads alike. 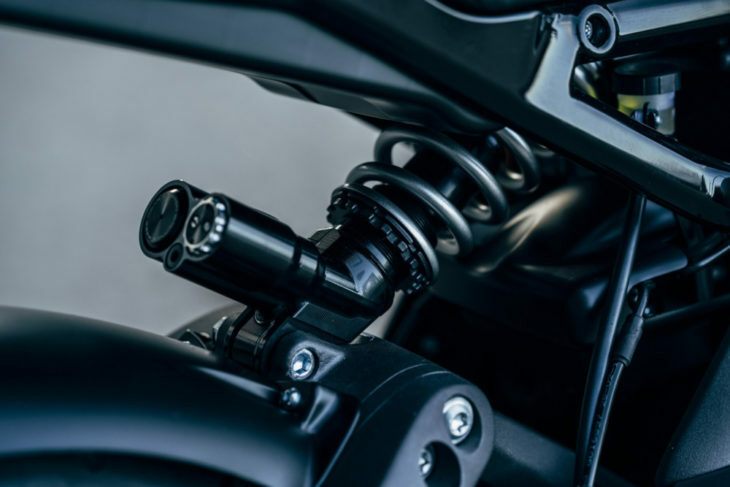 A Showa SFF-BP (Separate Function Fork – Big Piston) front end is paired with a Showa BFRC-lite (Balanced Free Rear Cushion – lite) rear mono-shock to soak up the bumps, while dual Brembo monoblock calipers with 300mm front rotors handle the braking duties. 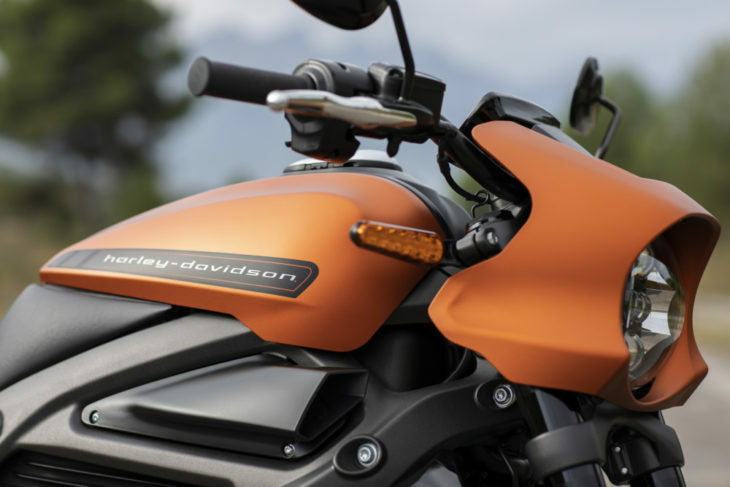 A cornering-enhanced ABS system and traction control come standard. 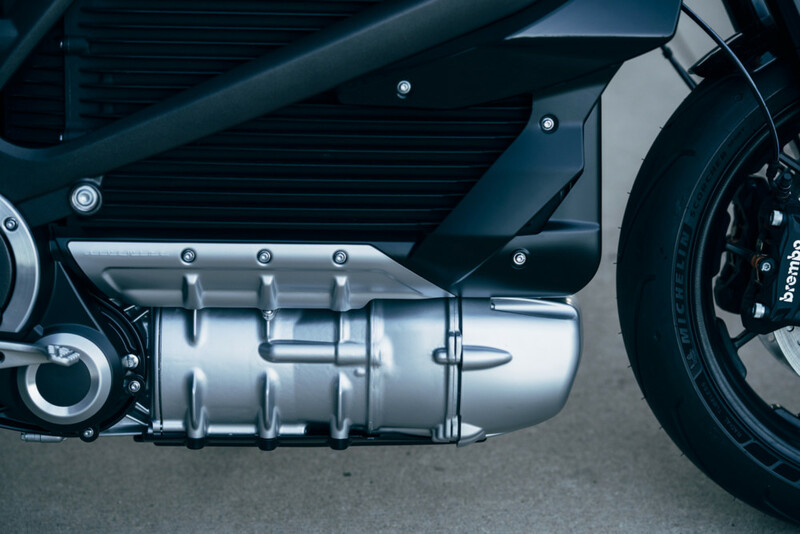 The LiveWire’s battery features a RESS (Rechargeable Energy Storage System) composed of lithium-ion cells surrounded by a finned, cast-aluminum housing. 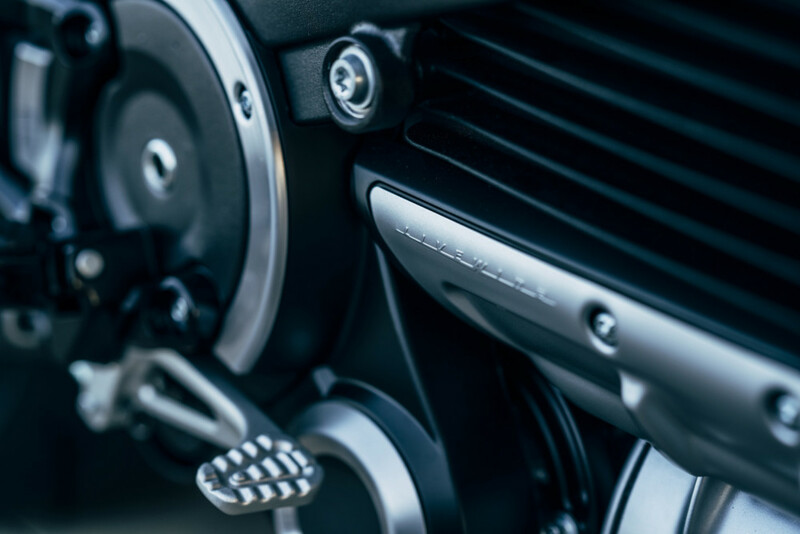 Charging is done via the onboard Level 1 charger that plugs into a standard household outlet with a power cord that stores below the seat. 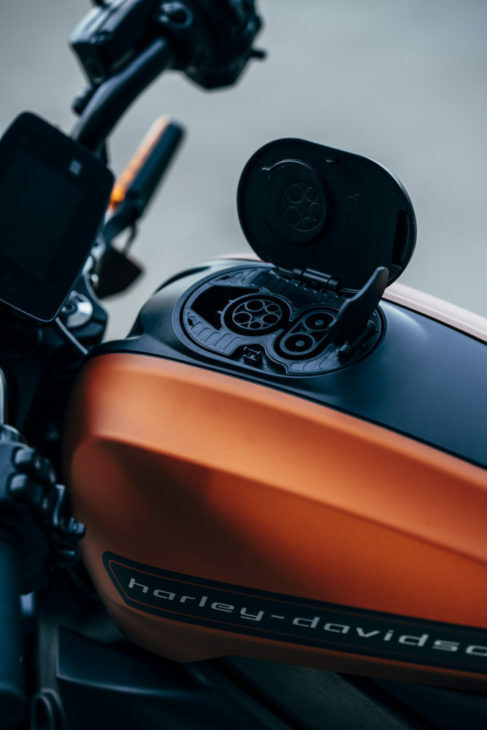 For quicker charge times, the LiveWire can also be juiced up with a Level 2 or 3, DC Fast Charge (DCFC) which uses a SAE J1772 connector. 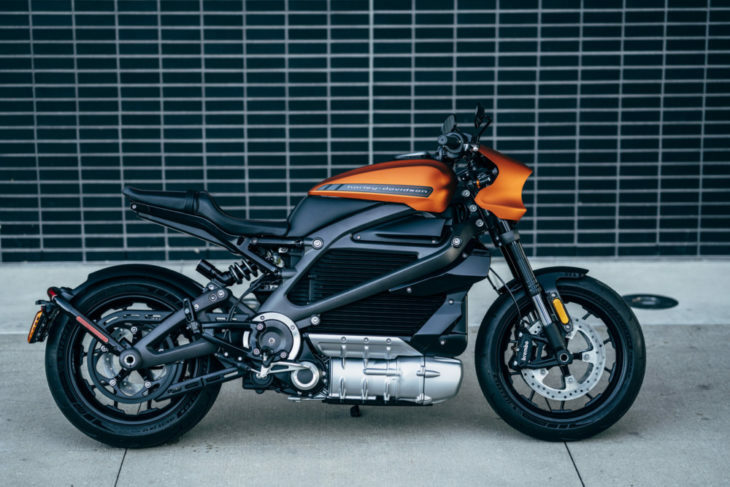 Harley-Davidson LiveWire will be on sale next year, and further details regarding pricing and pre-order process will be released in January 2019.